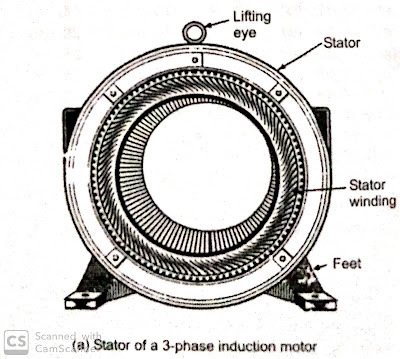 Stator— The stator of an induction motor is similar in construction to that of 3-phase synchronous alternator or motor. In order to reduce Eddy currents in the stator core, It is assembled of high grade, Low electrical loss, Silicon steel punching. The thickness of punching varies usually from 0.35 mm to 0.65 mm. The punchings are insulated from one another by a coating of varnish and held together by bolts in insulating sleeves. The stator winding also sometimes known as a primary winding, Is placed in slots on the inner periphery of the core. The core and windings are enclosed in a cast iron frame. 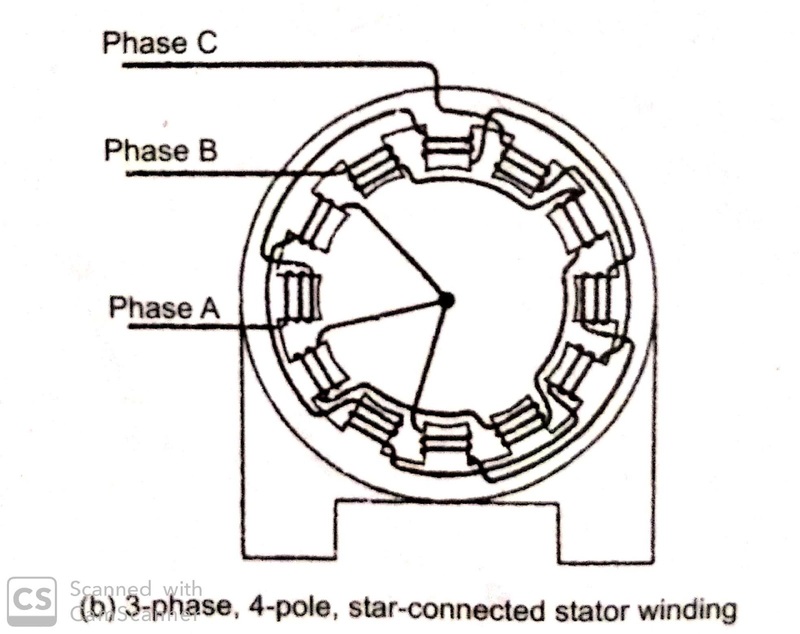 In the polyphase induction motor, The stator windings we usually arranged for 3-phase power supply, The phase of which may be connected either in Delta or Stars depending on the connection which will give a better design for the particular machines. 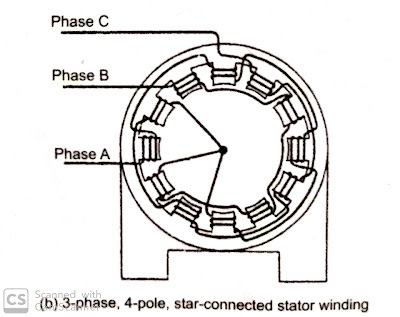 The stator windings, when supplied with 3-phase currents, produce magnetic flux, Which is of constant magnitude and revolves at synchronous speed. The revolving magnetic flux induced an E.M.F. (Electro Motive Force) in the rotor by mutual induction.